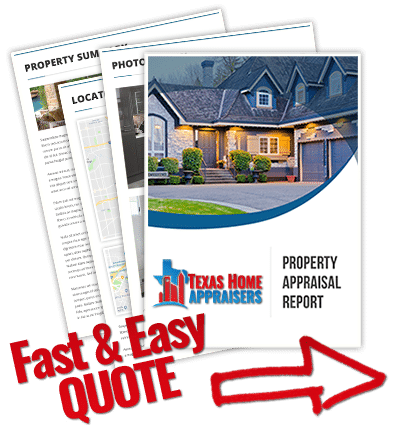 Our Texas certified real estate appraisers perform residential and commercial appraisal services throughout the Montrose area for both independent use and lender usage. We aim to provide an appraisal service that meets our customers’ expectations and is delivered with an industry leading turn time. Our appraisal costs are extremely competitive and we are known for having one of the fastest appraisal turn times in the area. We only employ appraisers that are local to the Houston area and are experienced with its varying markets. Our staff is capable of handling jobs for residential, commercial or mixed-use properties. If you have a commercial property that needs appraising our staff of Texas Certified General appraisers can provide you a quote based on the project requirements. We take pride in providing real estate appraisal services for any need including lending, private use, insurance and legal issues. Whether you’re a homeowner or an industry professionals, we take pride in providing a courteous and reliable service. Should you’d need to discuss your appraisal needs in more detail please contact us via the number on this site or the online contact form found above. If you require a licensed houston appraiser to perform a quick and friendly appraisal for your home, give us a call today or submit the short web quote form. Is an attic inspection part of the appraisal process? Appraisers will only need attic access if performing the appraisal for FHA loans. If possible, make the first few feet around the attic entrance accessible so that the appraiser may enter the attic and perform a visual inspection. If attic access is not possible or limited by obstructions, the appraiser can opt to perform a “head and shoulders” only inspection and note this in his report. Every appraisal will include an effective date which indicates the day the estimated value was determined to be valid. The opinion of value could be accurate for a few weeks to a few months depending on market conditions in the area. If your appraisal is for a loan then lender guidelines will also impact the appraiser’s decision on comparables and timing adjustments. The typically accepted “expiration” period for an appraisal is 60 days. What is the definition of appraisal adjustments? Since no two homes are exactly alike, appraisers make adjustments to fine-tune your home’s value according to comparable homes in your area. Say there’s a recently sold home a few blocks from yours with the same number of bedrooms, bathrooms and square footage, but it overlooks a golf course and has a screened-in porch. If your home doesn’t have comparable views and amenities, your appraiser will make adjustments to the price of the comparable home to come up with a value for yours. How do your general purpose forms and FNMA URAR 1004 differ from one another? A “Fannie Mae” – URAR form report has many items required by the secondary mortgage lending market, that are not necessarily needed in a simple report to find the market value. Both primarily rely on a direct sales comparison or market approach with a comparison grid to determine the market value of the subject property. The lenders report has many additional arbitrary requirements which have little bearing on the value found by a report needed for many other purposes. Census data and SMSA information are two examples of arbitrary data that only serve to help the lender category their loans. Our general purpose form reports are particularly well suited for helping a seller to price a home for sale, helping a buyer to decide how much to offer or pay for a home, for estate tax, gift tax, tax grievance, uncontested divorce & most any other potential use other than for obtaining a mortgage or in litigation where the report will be used in conjunction with expert testimony.